This is great if you don’t want to worry about tracing hands and cutting them out. 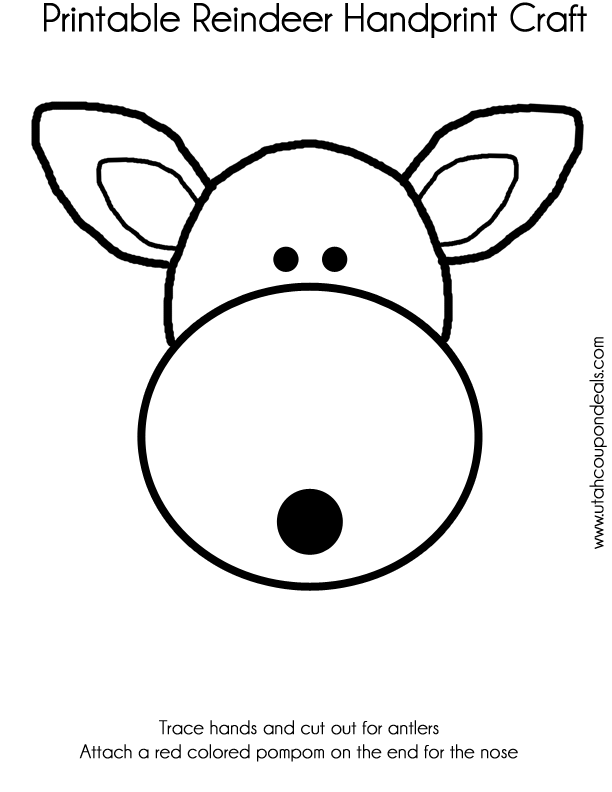 You can just print this out and let your kids color it and then have them cut it out and glue the antlers on. We also use a little glitter and pompoms to make it more 3-D. I also like the bend the ears forward a little once the antlers are glued on so that its not so flat. This would also be a great paper bag craft! 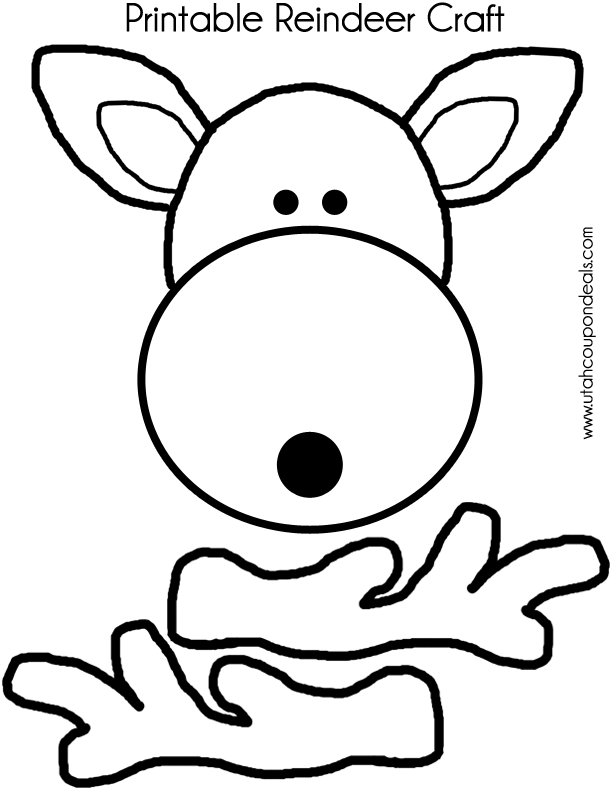 This one is great if you want to trace their handprints (like I did) and use those for the antlers. I love seasonal handprint crafts, and couldn’t find one I like for a Reindeer, so I made this one. My kids really loved this craft. We just did everything on white paper so that they could color it. My kids wanted bodies, so I may be adding those lol. If you do this project I would like to know what you think and if you would like more free printables in the future.